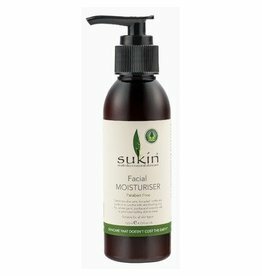 Sukin Foaming Facial Cleanser is lightly foaming and its formula is sulphate and paraben free. Sukin Revitalizing Facial Scrub is a gentle creamy treatment that promotes healthy skin circulation, refining texture and smoothness, leaving clean radiant skin. This daily moisturiser provides fast absorbing, deeply penetrating hydration that softens and soothes skin.